Asbestos waste must be packed in U.N. approved packaging with a CDG hazard sign and asbestos code information visible, double wrapped and labelled asbestos waste. 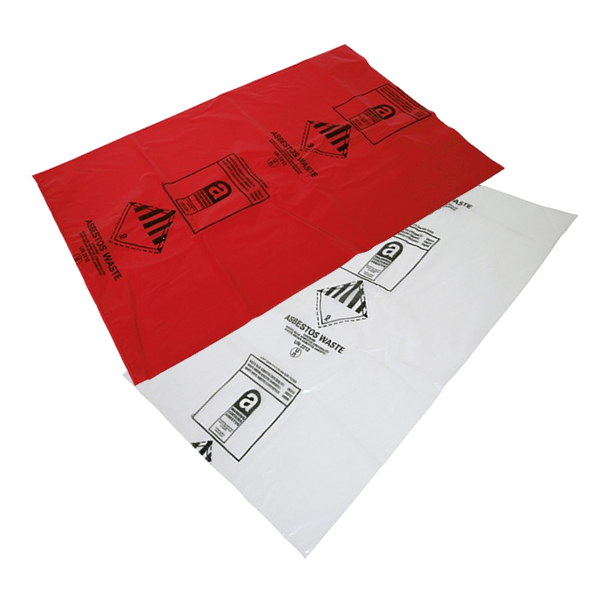 Standard practice is to use a red inner bag with asbestos warnings, and a clear outer bag with the CDG sign. Heavy Duty 900mm x 600mm bags. These bags are fully U.N. Certified to hold 25 kilos of asbestos waste. These bags meet all UK legislation for Asbestos waste. Do not overfill the bags. Beware sharp objects that could puncture the plastic. This is the Atrix International part number for the product. If a product has more than one part number, these are the Atrix part numbers for the different variants.